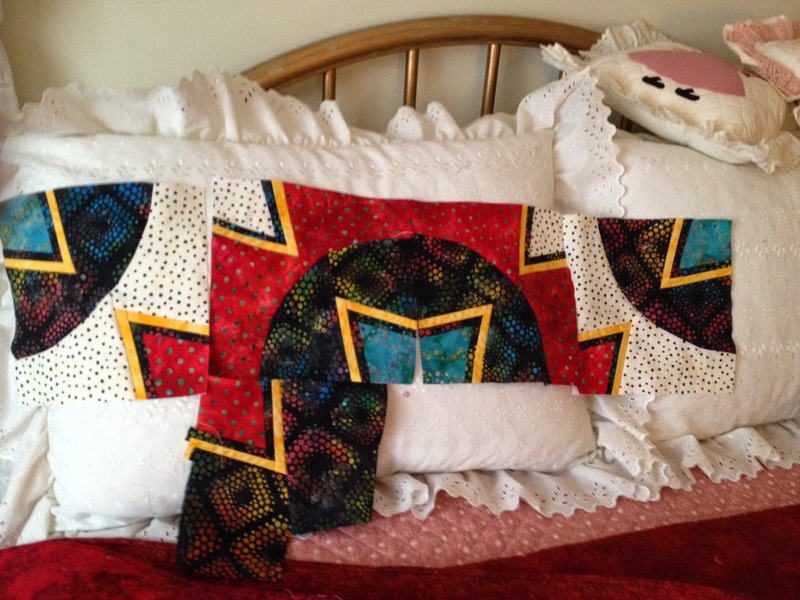 Last week, I took the class given by Linda and Leslie for a paper pieced hanging that is also a drunkard's path block. There were some absolutely lovely color schemes picked out by the students. This is mine - but I did change it from my original pick. I had picked out green where the yellow is and the yellow was where the white with black dots is now. I do like this much better. The little touches of yellow make everything pop. I have paper pieced before so am not a complete novice at this method. This was my first attempt at this kind of paper piecing - it was a pattern in one of the quilt magazines quite a few years ago. It has some of the ugliest fabric in it, but I love the way it looks. 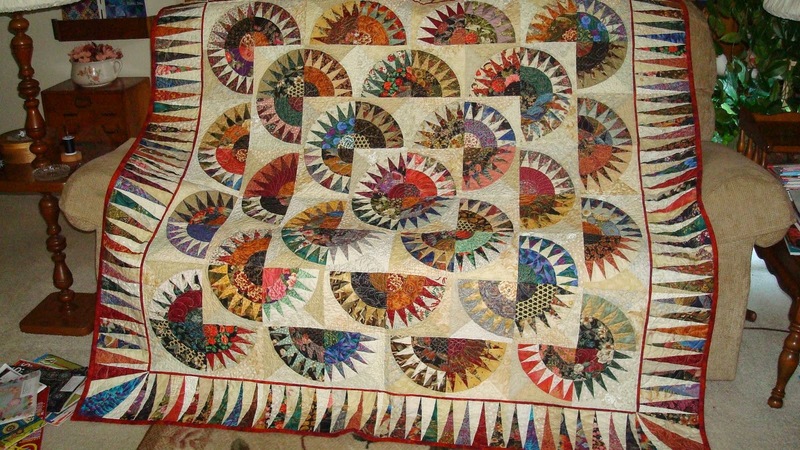 And how pleased I was with me (named it Attagirl Carol) for the curved piecing which I had not done before. 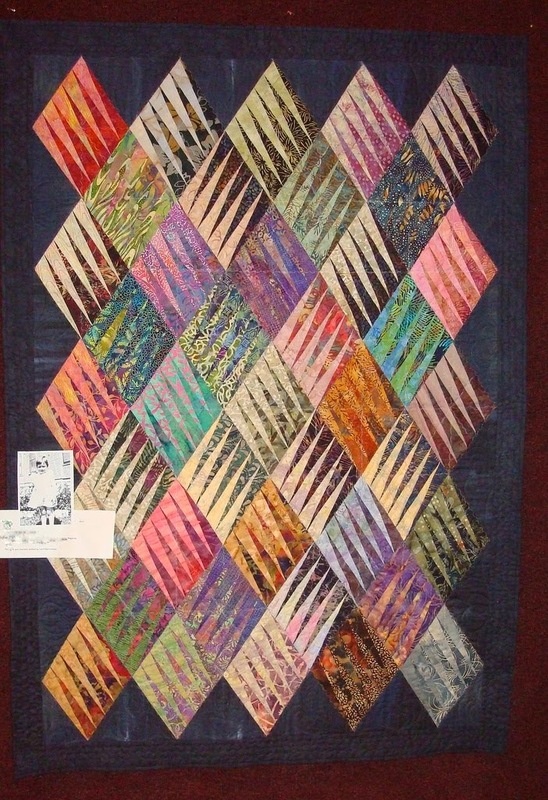 This was another pattern from a old Quilters Newsletter done in batiks. This was lots of fun to do. A New York Beauty done in oriental fabrics - one of my favorites. And this is a smallish wallhanging I did in a class with Linda several years ago. Some really small pieces in this one. The colors aren't true in this picture. This hangs over the stairwell to my basement. So I have paper pieced quite a bit. Then why am I making so many goofy mistakes and ripping, ripping, ripping! All five of the blocks that I have finished or nearly finished have been taken apart to some extent at least once and some twice. One thing that could be part of the reason is that I didn't get home with my "road map" that shows the line drawings for each block and how many to make. I am going by a small colored picture of the piece and have divided it into blocks. I will get the block almost done and then nasty words will come from my mouth as I discover I have screwed up again!! However, I think I am getting more in the groove with it and may finally make a complete block without ripping! Not having any trouble with the curved seam - well, not yet, anyway! So five blocks down and eleven to go!! 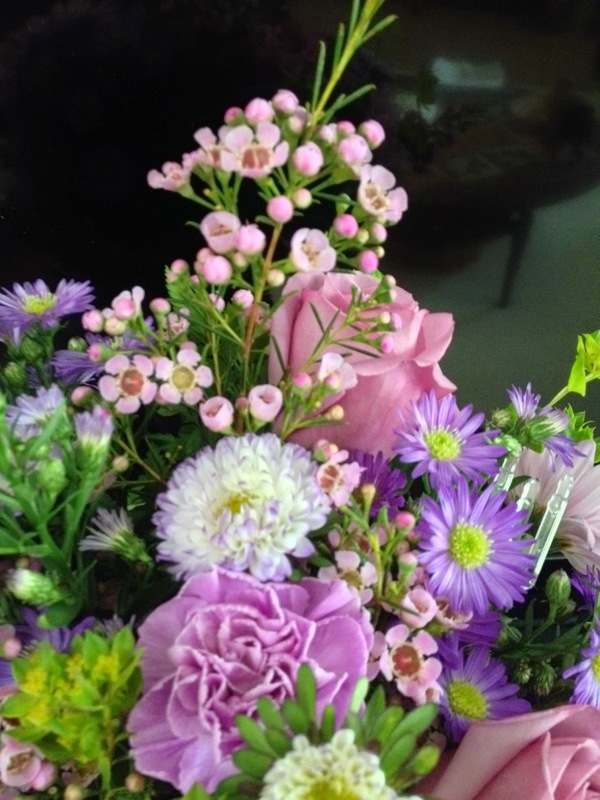 A gorgeous bright spot to my day in the form of this bouquet for Mother's Day from Bill and Ann, my kids in Kansas!! It is beautiful and I thank you two sweeties so much. 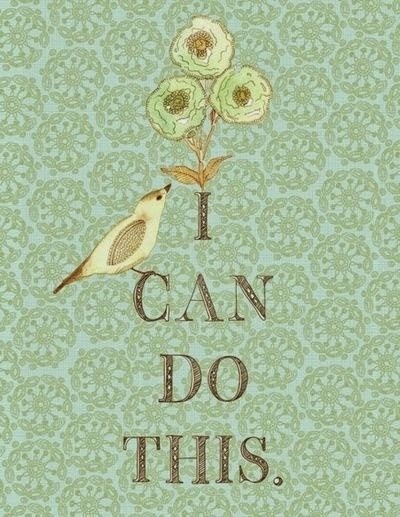 Don't know whether I used this one before or not, but it certainly is appropriate! 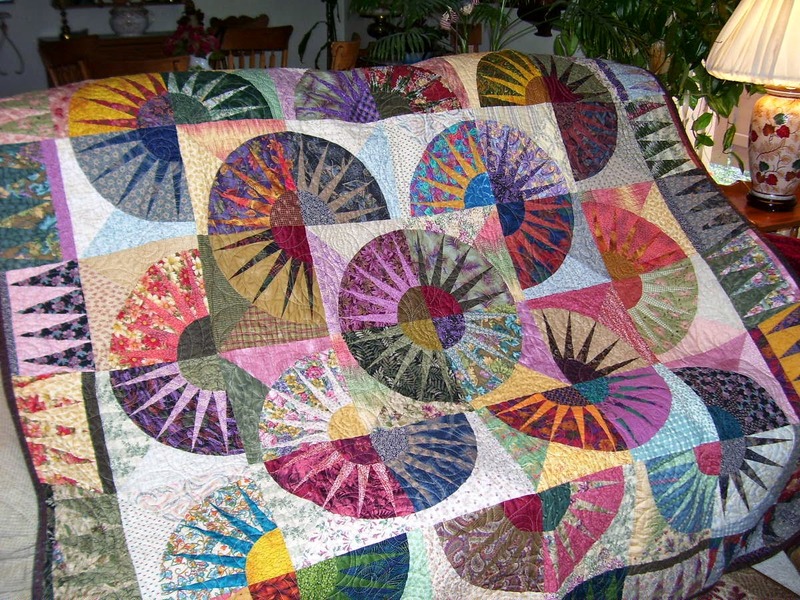 I love paper piecing! There are lots of things to watch for where mistakes can be made. For instance, sometimes I don't get my piece folded back when trimming the seam allowance, and cut it off! But I have learned to be patient with it, especially ripping seams.